2001 – 2002, Deputy General Director on Marketing, Director on Marketing, KTG Distribution, OJSC. 2002 – Deputy General Director on Marketing and Commerce, Deputy General Director, General Director, First Deputy General Director, Acting General Director of KazTransGas Aimak, JSC. 2003 – 2004, General Director of Regional Gas Transportation System, JSC. 2008 – 2009, Advisor to General Director of KazTransGas, JSC. 2009 – 2013, Deputy General Director of KazTransGas Aimak, JSC. 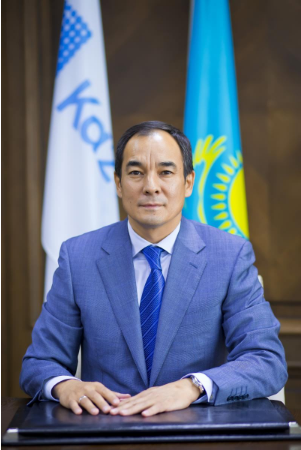 2014 – 2015, First Deputy General Director of KazTransGas, JSC.